George Hall was born on June 18, 1930, in Hattiesburg, Mississippi. He attended the University of Mississippi for a year before entering the U.S. Naval Academy in 1949. Hall graduated and was commissioned a 2d Lt in the U.S. Air Force on June 2, 1953, and then entered Undergraduate Pilot Training, earning his pilot wings at Reese AFB, Texas, in August 1954. His first assignment was flying T-29 Samaritan navigation trainers with the 3566th Navigator Training Group at James Connally AFB, Texas, from August 1954 to April 1958. 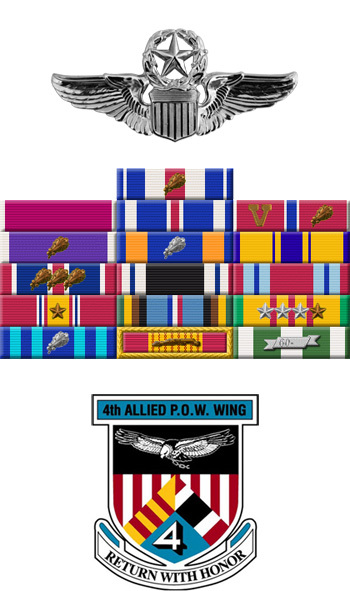 Hall then served with the 7625th Operations Squadron at the U.S. Air Force Academy and Lowry AFB, Colorado, from April 1958 to August 1962, when he was transferred to the 15th Tactical Reconnaissance Squadron at Kadena AB, Okinawa. Capt Hall began flying combat missions over Vietnam with the 15th TFS in May 1963 and he was forced to eject over North Vietnam after his RF-101 Voodoo took ground fire while flying his 196th combat mission on September 27, 1965. He was immediately captured and spent the next 2,695 days as a Prisoner of War before being released during Operation Homecoming on February 12, 1973. After a brief hospitalization and leave, Col Hall served as an aid to Col John Flynn at Keesler AFB, Mississippi, and then attended Air War College at Maxwell AFB, Alabama. In May 1974, he went through refresher pilot training at Randolph AFB, Texas, and then served as Deputy Commander of Operations for the 67th Tactical Reconnaissance Wing at Bergstrom AFB, Texas, flying the RF-4C Phantom II. Col Hall retired from the Air Force in this position on July 31, 1976. George Hall is married to the former Patsy Jane Stanley of Waco, Texas, and they have three children-Robert, Laura, and Steven. In 2005, George published a book about his experience titled "Commitment to Honor, A Prisoner of War Remembers Vietnam". George Hall died on February 16, 2014, and was buried at Oaklawn Cemetery in Hattiesburg, Mississippi. 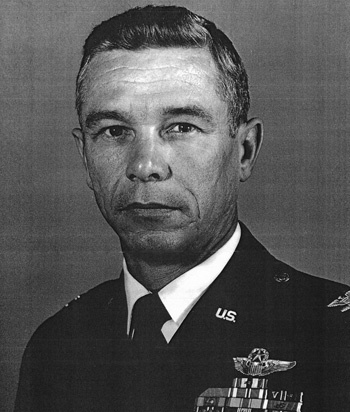 Captain George R. Hall distinguished himself by gallantry in connection with military operations against an opposing armed force as an RF-101 Pilot over North Vietnam on 27 September 1965. On that date, Captain Hall masterfully led a flight of two reconnaissance aircraft deep into hostile territory to secure Bomb Damage Assessment photography of vital bridge complexes which had just been struck by fighter aircraft. The locations of these targets necessitated separate passes through a veritable curtain of antiaircraft fire which guarded all approaches. After successfully leading his flight across the first target, Captain Hall was turning on the second complex when his aircraft was mortally damaged by ground fire. Not to be deterred from his mission, Captain Hall displayed a superior degree of airmanship and aggressiveness as he heroically, and with utter disregard for his own safety, pressed on with the photography run. By his gallantry and devotion to duty, Captain Hall has reflected great credit upon himself and the United States Air Force. 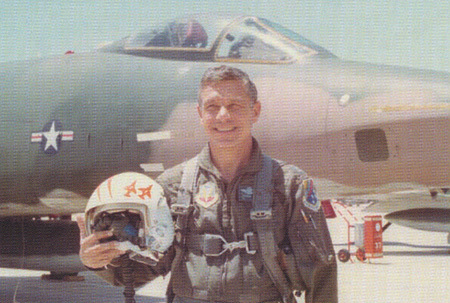 Capt Hall with his RF-101C Voodoo during the Vietnam War.